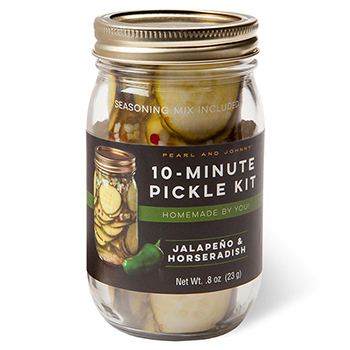 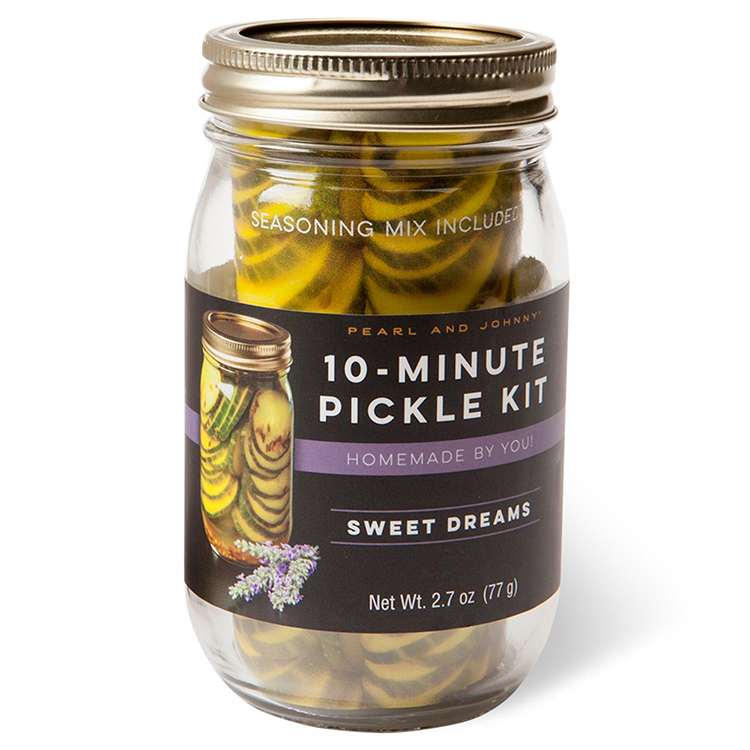 Make your own sweet pickle in 10 minutes. 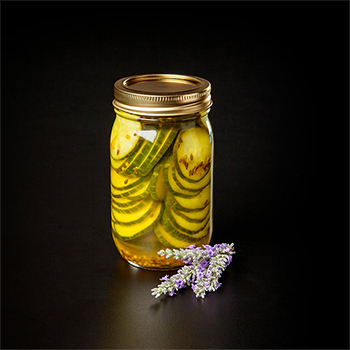 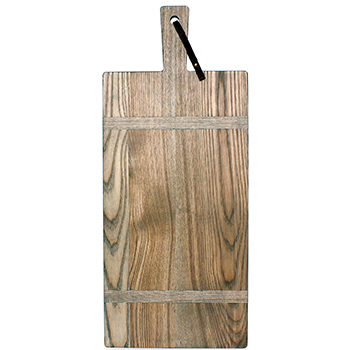 The Sweet Dream pickle is the perfect bread and butter pickle to accompany any summer meal. 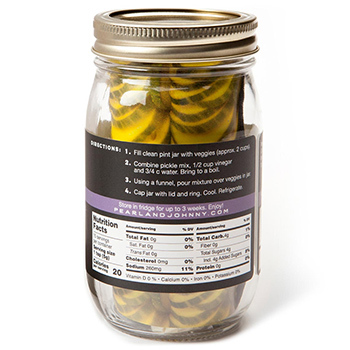 Ingredients: Cane Sugar, Salt, Mustard Seeds, Turmeric, Lavender.